Governor Kim Reynolds at campaign rally. 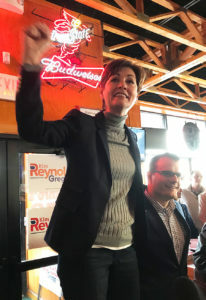 Iowa’s Republican governor rallied with a crowd of supporters early this morning inside a West Des Moines restaurant. “Governor Kim Reynolds!” Iowa Senate President Charles Schneider yelled as he stood in the restaurant’s entryway, concluding his introduction and drawing cheers. Reynolds climbed on top of a chair to offer her rebuttal to Democratic rival Fred Hubbell’s argument that he’d reprioritize the state spending. Reynolds shared the event with three other Republican candidates running for statewide office. 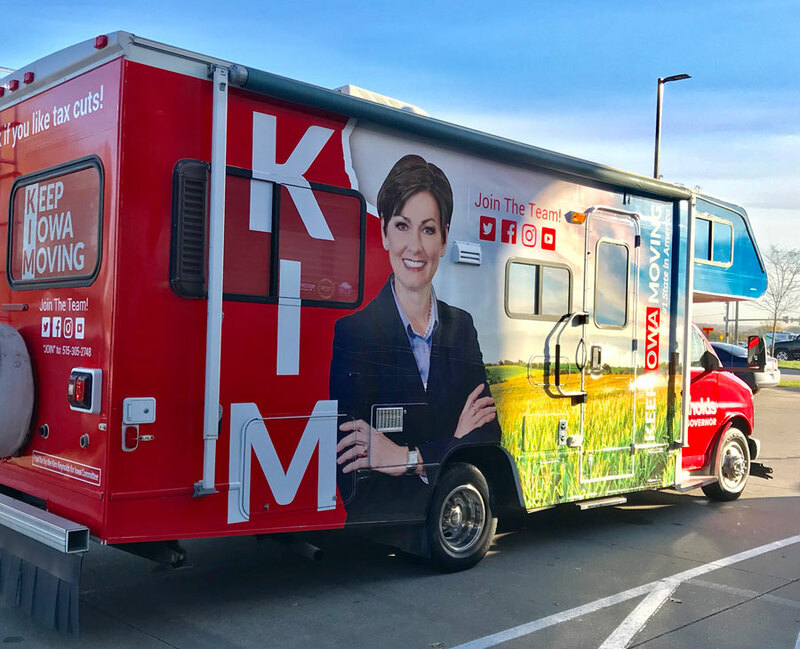 Reynolds is heading to Boone, Ames, Marshalltown and Iowa Falls today in her campaign RV. 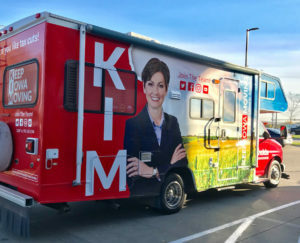 It’s been newly “wrapped” with a huge photo of the governor on the side, the words “Keep Iowa Moving” on the front and “Honk If You Like Tax Cuts” on the back. Hubbell kicked off his own bus tour yesterday and his bus carries the words “Get Iowa Growing the Right Way” on its sides.